Iron Lady in the Axway house! Home Life at Axway Iron Lady in the Axway house! What does it take to be part of the Ironman challenge? For one thing, determination and an iron-clad vision are necessary components to take part in such a race. Swimming was a challenge for Sandrine, but with her strong determination, she persevered. Sandrine admits the training was “truly exhausting,” but that did not stop her in her will to succeed. Sandrine started training in January 2018, once or twice a day was her goal. She dedicated her weekends to swimming training in recognition for the first race that took place in Tours, the Tours’nman. Sandrine said she failed to finish the race but that did not stop her from her diligent pursuit to continue—I’m exhausted just thinking about it! From the beginning of January to June 4, Sandrine trained 247 hours; quite the accomplishment. From time to time, she would train 12 to 19 hours. When Sandrine failed the race in June, she kept at it and never gave up, she returned to train in July and August for more grueling hours, totaling 102. Sandrine truly has an indomitable spirit. She even enlisted a trainer to help her with swimming, as well as 21 hours of running. Sandrine’s strategy was not to follow a true training plan because she was very familiar with long races and training. When Sandrine didn’t feel like training she refrained from doing so. 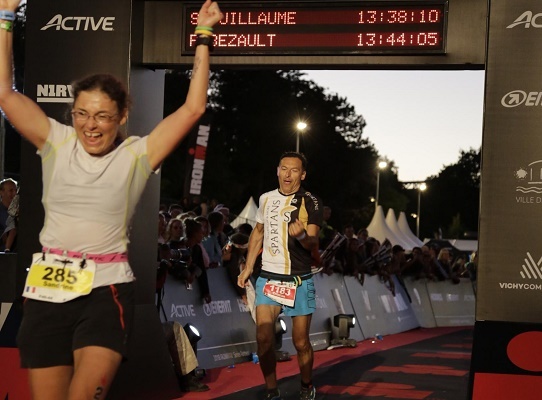 The Ironman for Sandrine was about finishing the event—pure and simple. Sandrine accomplished something many of us only dream of doing. Sandrine said when she finished the race, she wasn’t exhausted, “she was full of energy and happiness.” For Sandrine, the true joy was in sharing this success with her family. When it came the time to swim the Ironman, she became totally focused. Sandrine knew nothing could stop her now. She was so thrilled that she finished and accomplished her goal. 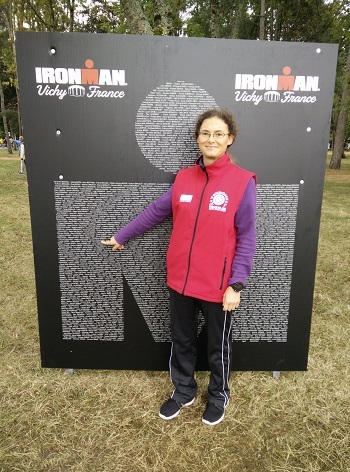 This was truly what the Ironman was all about for Sandrine—accomplishing her goal! Just when you think the long race is over, Sandrine is already on to her next big challenge. She has already signed up for the Nice Ironman on June 30, 2019. At first, Sandrine didn’t want to participate because she felt her first experience was just too perfect to replicate. But thanks to her teammates, she’s ready for the next big adventure. And look out 2020. 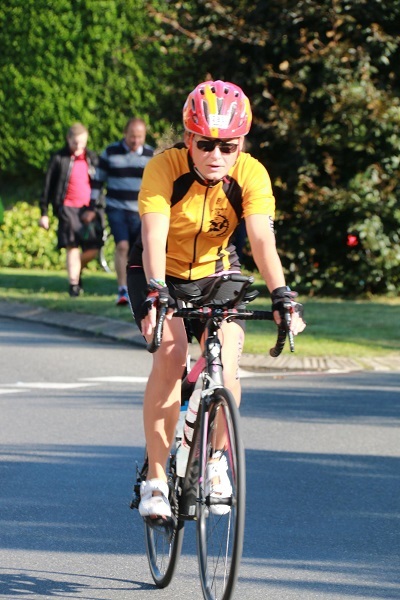 There is one of the hardest triathlons out there, the Embrunman, which is also with her club. If all goes well in 2020, Sandrine will be back again to take the next big challenge! 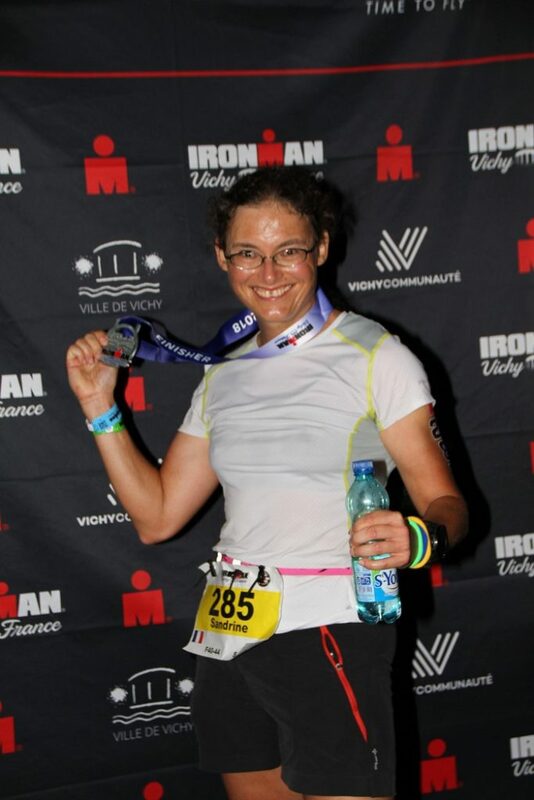 We applaud Sandrine for her Iron Lady determination. Congratulations on a job well done and achieving your goal! Discover Axway here.